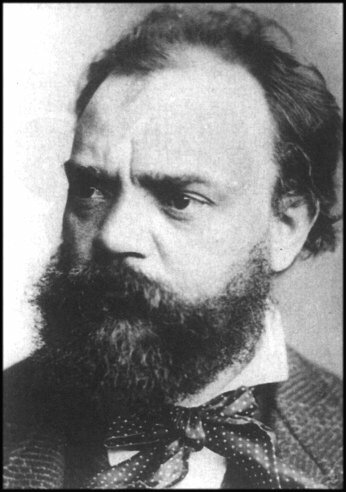 Antonín Dvořák's stay in the United States is invariably associated with his 9th Symphony "From the New World', but his famous Cello Concerto, his 'American' String Quartet and the Piano Suite (opus 98) were also composed in the period from 1892 to 1895, when Dvořák was artistic director of the Conservatory in New York. Dvořák himself orchestrated the suite one year after the completion of the original version, and gave it the title "American Suite" (Op 98b). His famous Slavonic Dances and Legends were also originally piano works that he orchestrated later. Unfortunately, Dvořák never heard the orchestral version. The premiere took place six years after his death on March 1, 1910 in Prague, Dvořák's final resting place. Dvořák's main goal in America was his quest for authentic "American music" - as he used the Czech folk music earlier in his own compositions. Thanks to his student Harry Burleigh, one of the first African-American composers, Dvořák became acquainted with the traditional American spirituals. Dvořák was convinced that the Americans would find their own national style through the music of African-Americans and Native Americans. There are clear influences of this American folk music to be found in the American Suite. As in the "New World" symphony and string quartet, Dvořák makes extensive use of the pentatonic scale and syncopated rhythms.